There are several reasons that I scrapbook, most of them I've written here before. Last week, so many events, led me to reflect on my blessings and my sweet family. 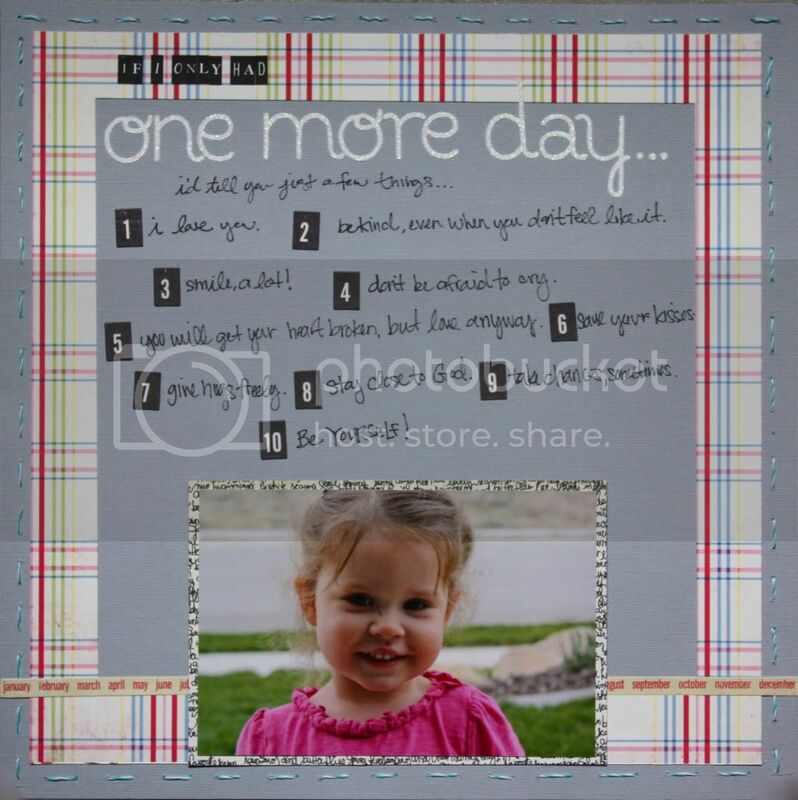 Even a song on the radio, by Diamond Rio,' One More Day', which inspired this layout. which is just one of the reasons I scrapbook. My sister, Jenni, has some 'Rules to Live By' on her blog and this is sort of an homage to that. I wanted to write down just a few things I would make sure to tell her, if I only had one more day. 2. Be kind, even when you don't feel like it. 4. Don't be afraid to cry. 5. You will get your heart broken, but love anyway. 8. Stay close to God. but those are the first few that came to mind. Love this post! You are such a good Mommy!